The UK government is refusing to say if it will back a proposed EU ban on palm oil in biofuels designed to tackle global deforestation, amid concerns over a major defence contract with palm oil producer Malaysia. The UK High Commissioner in Malaysia reportedly described the ban as “unfair” and against international trade practices in a meeting with the country’s government minister. Approached by Unearthed, the Foreign Office and the Department for the Environment, Food and Rural Affairs (Defra) refused to comment on the government’s position. The UK’s refusal to confirm whether or not it will support the ban comes after the Malaysian government threatened to strike back against EU countries, after the European Parliament voted to phase out palm oil from biofuels in Europe by 2021. MEPs voted in January to phase out of the use of palm oil in biofuels and bioliquids from counting towards the EU’s new renewable energy directive, which will take effect after 2020. Any retaliation from Malaysian government could hit UK defence contractors hard. The Campaign Against Arms Trade tracks export licensing data and shows that £68m of UK arms export licences were authorised to Malaysia in the first nine months of last year. European lawmakers are concerned about the environmental impact of palm oil, with the commodity linked to deforestation. 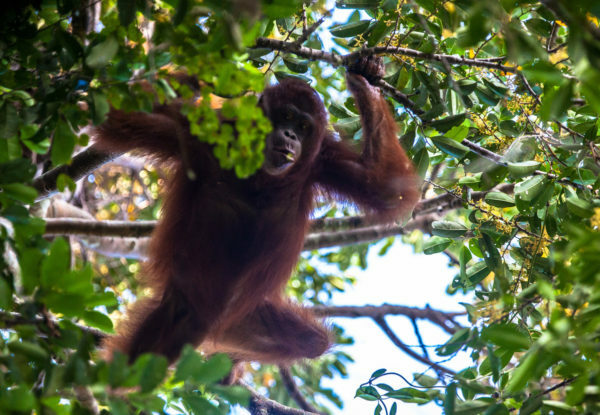 Research published in the journal Current Biology found that the population of orangutans on the island of Borneo, Indonesia has declined by over 100,000 since 1999. The species has been hit hard by the expansion of the palm oil sector in Southeast Asia. Any move to oppose an EU phase out would be controversial – given that the UK is planning to leave the EU before it comes into force. The Telegraph reported on Wednesday that Malaysian officials flew to London last week to warn the government that any move to support the European Parliament’s stance on palm oil could have a negative impact on a post-Brexit trade deal between the two countries. The UK has looked to foster good relations with the Malaysia country in recent months. In April last year, international trade minister Liam Fox travelled to Asia to talk up a post Brexit trade deal between the two countries. In an op-ed in the Telegraph in November, Mah Siew Keong, Malaysian plantation industries and commodities minister, wrote that Brexit could be an opportunity for a new relationship between Malaysia and the UK, free from “strong vested interests in Europe” which have “pushed for a more protectionist approach in dealing with palm oil”. Earlier this month, Reuters reported that BAE Systems would provide Malaysia with a UK government-backed financing deal, if it decided to replace its fleet of fighter jets with the Eurofighter Typhoon. 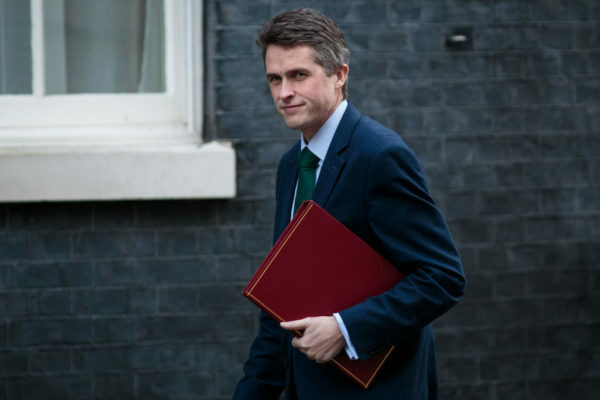 The Sun on Sunday has reported that Defence Secretary Gavin Williamson was concerned that the EU’s palm oil phase out could jeopardise 20,000 defence jobs in the UK. Environment Secretary Michael Gove favours the ban, according to the Sun’s report. UK High Commissioner to Malaysia Vicki Treadell reportedly told Malaysian plantation and commodities minister Keong that the UK opposed the European Parliament’s move during a meeting two weeks ago. Keong has previously described the European parliament’s position on palm oil as “crop apartheid”. Unearthed asked the Foreign Office for a transcript of this conversation and offered the department the opportunity to comment or clarify Treadell’s remarks. It declined to do either. Unearthed also asked Defra if Michael Gove supported the European Parliament’s move to ban palm oil from biofuels. And we asked how the department responded to suggestions that the UK is pushing back against palm oil ban in order to win major defence contracts with Malaysia. A department spokesperson declined to comment. Malaysia, alongside Indonesia, produces more than 85% of the world’s palm oil, and the industry has been linked to devastating environmental damage. Slash and burn techniques to clear forests to make way for plantations were blamed for dramatic fires in 2015 that blanketed Malaysia, Indonesia and Singapore in a thick yellow haze and may have caused 100,000 premature deaths – according to Harvard researchers. The expansion of the industry has also been linked to deforestation and habitat loss for iconic species like orangutans. From 1990 to 2013, the population of 2,000 orangutans living in Tripa, Aceh province dwindled to just 200 in the face of rapid deforestation. Malaysia insists that smallholders would be hit hard by any European restrictions on palm oil – an industry worth in excess of £40bn. The country sent a delegation to Brussels earlier this month to lobby European officials, including UK government representatives, on the issue. It has also promised to complain to the World Trade Organisation over the EU’s plan to limit palm oil. Unearthed asked the Malaysian government to comment on this story, via the country’s embassy in London but had not received a response by the time of publication.